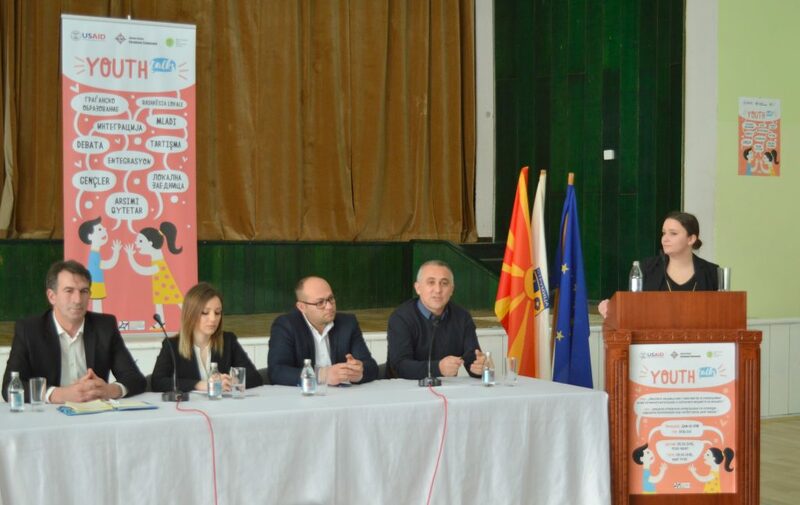 On March 9, 2018, the Municipality of Strumica, in partnership with the MCEC and YEF organized a youth debate as part of the Youth Talks cycle of youth debates. 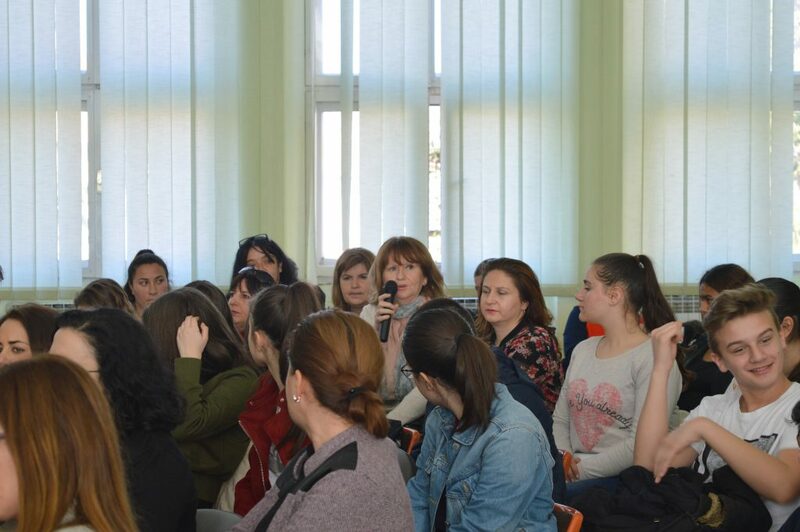 During the event, more than 140 participants discussed on the topic “The Local Community as the Main Factor for Promoting Interethnic Integration and Civic Values among Young People”. 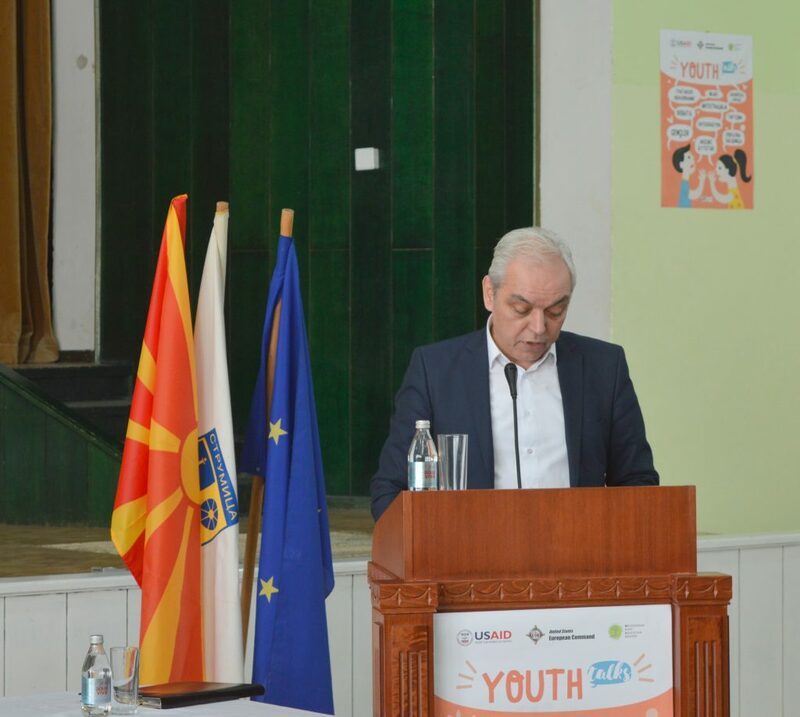 At the beginning of the event, Mr. Kosta Janevski, the Mayor of the Municipality of Strumica, greeted the attendees and highlighted the commitments of the municipality to promote the interethnic cohesion and democratic values among young people. An introductory speech was also given by the Executive Director of the Macedonian Civic Education Center, Ms. Loreta Georgieva, who underlined the importance of the cooperation between the civic sector and the local community in order to develop the democratic processes in the municipality and to improve the life in the community. 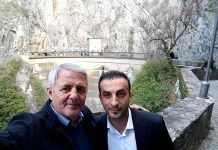 Several panelists also delivered a presentation – Mr. Aco Gjorgiev, the President of the Municipal Commission for Education, Ms. Irena Georgieva, the President of the Local Youth Council in Strumica, Mr. Kerem Juseinov, teacher in the “Marsal Tito” primary school and Mr. Nebojsa Mojsoski, the Chief of Party of the USAID Youth Ethnic Integration Project. The moderator of the public debate was Ms. Teodora Stolevska, representative of the Youth Educational Forum. 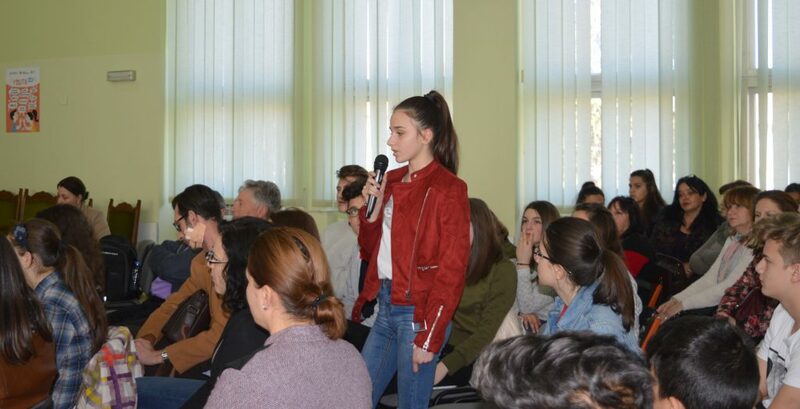 After the presentation of the speakers, students from 6 primary and secondary schools from the municipality took part in the interactive discussion. Based on the positive experiences from their everyday lives in school, they offered their suggestions for improving the coexistence in the community and shared examples of other successful events aimed at encouraging youth activism. The young people asked for support from the municipality to start a joint school paper and organize a joint junior and senior prom which will be attended by students coming from different ethnic communities. Moreover, they stated that the local community is an exceptionally important factor for the promotion of interethnic integration and civic values among young people, but also pointed out that, at the same time, parents, teachers, the school, even young people themselves have a big and responsible role in this process. In the upcoming period, 7 more youth debates will be organized in the pilot municipalities of the project. The purpose of the Youth Talks cycle of youth debates is to enable young students to advance the culture of dialogue, enhance the level of argumentative speech, encourage social discussion on relevant topics, as well as promote interethnic cohesion. 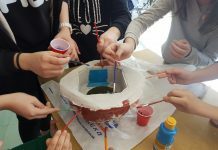 This activity is organized in cooperation with the Youth Educational Forum and it is a part of the Youth Ethnic Integration Project, funded by the United States Agency for International Development (USAID).